3-Phosphoglyceric acid (3PG) is the conjugate acid of glycerate 3-phosphate (GP). The glycerate is a biochemically significant metabolic intermediate in both glycolysis and the Calvin cycle. This anion is often termed PGA when referring to the Calvin cycle. In the Calvin cycle, 3-phosphoglycerate is the product of the spontaneous scission of an unstable 6-carbon intermediate formed upon CO2 fixation. Thus, two equivalents of 3-phosphoglycerate are produced for each molecule of CO2 that is fixed. Compound C00236 at KEGG Pathway Database. Enzyme 2.7.2.3 at KEGG Pathway Database. Compound C00197 at KEGG Pathway Database. 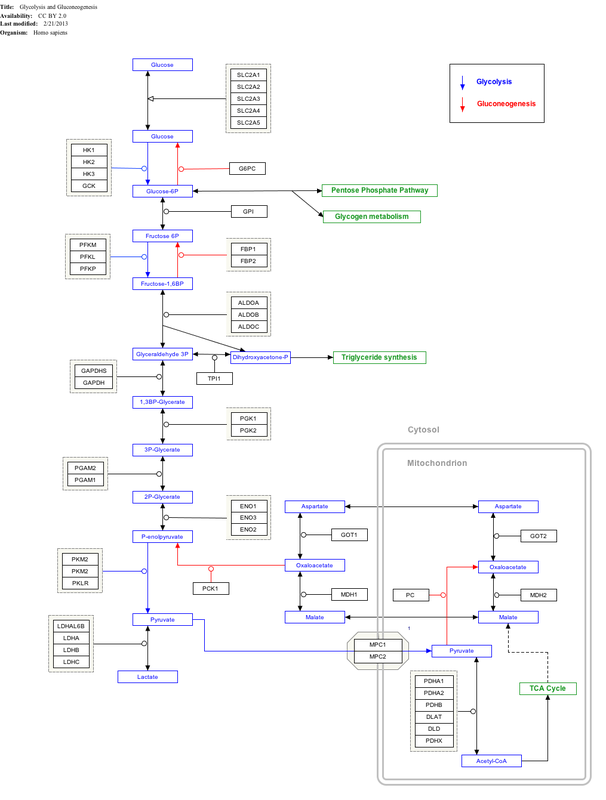 Enzyme 5.4.2.1 at KEGG Pathway Database. Compound C00631 at KEGG Pathway Database. In the light-independent reactions (also known as the Calvin cycle), two 3-phosphoglycerate molecules are synthesized, one of which continues through the Calvin cycle to be regenerated to RuBP and the other is reduced to form one molecule of glyceraldehyde 3-phosphate (G3P). This is the first compound formed during the C3 or Calvin cycle. It is a reactive biomolecule that is easily reduced. Glycerate 3-phosphate is also a precursor for serine, which, in turn, can create cysteine and glycine through the homocysteine cycle. This article about metabolism is a stub. You can help Wikipedia by expanding it.